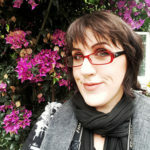 Is the visitor experience more important than your story? Storytelling has become a huge part of content marketing within the last year or so. If you run a heritage site, you’re more than aware of the importance of story. 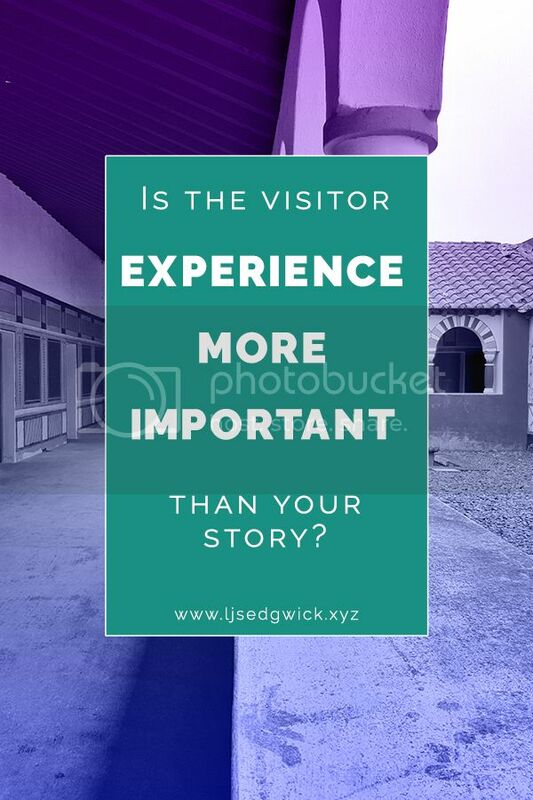 But is the visitor experience more important than the story you want to tell? According to CNBC.com, millennials would rather spend money on attending music festivals, travelling the world, or trying new activities like skydiving and yoga. A study by Harris Group discovered that “More than 3 in 4 millennials (78%) would choose to spend money on a desirable experience or event over buying something desirable”. In short, millennials would rather spend money on experiences than things. If you run a heritage site, then you instantly have an advantage over a bricks-and-mortar store. Your site IS the experience. But you also have a story – or several stories – to tell. Which one is more important – the experience or the story? Many heritage sites offer three main entry points into their stories. All of them are fantastic ways to communicate information. The guidebook also allows the visitor to take the story away with them to share with others. Moreover, the audio guides allow the visitor to experience the sounds of the site, and the narrative nature of the audio guide allows a commentator to quite literally tell the stories of the specific locations. But all of these stories are one-way monologues. I can’t ask questions of a guidebook. I can’t engage with the content of an information board once I’ve read it. But I can ask questions of someone playing a role. 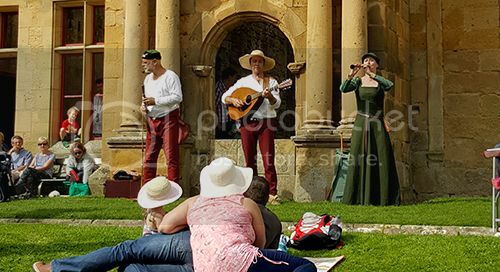 English Heritage used the medieval re-enactment group Dawn of Chivalry at their Bank Holiday medieval event. 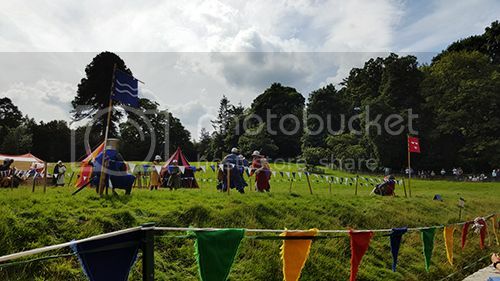 The group portray a tournament from 1250AD, showcasing combat styles and archery, among other things. Not only could visitors have a go at longbow archery, they could also ask questions in the medieval camp. One fellow demonstrated the construction of maille in the camp behind the castle. As a representative of the Order of the Knights Hospitallers of St. John, he explained the founding of the Order, as well as its role in medieval life. Another chap explained the evolution of medical equipment from the 12th Century until the present day. Lots of visitors, including myself, could ask these re-enactors specific questions. As fonts of information, they were well-placed to tell a story. But they could also tailor the experience of that story to suit the visitors. The visitor became a part of the story, or even an extra in the wider narrative. The members of the camp talked to the visitors, rather than at them. How does this apply to your own site? You’re probably wondering how any of this applies to you. How can you turn your existing narrative into a dynamic, immersive storytelling experience? Don’t get me wrong, your guidebooks, audio guides and information boards are still a key part of your story. But visitors will often remember what they’ve heard and experienced more than something they’ve read. These three strategies can work alongside your existing copy. You could host special events throughout the year, allowing visitors to experience the site in a different way. After all, you want visitors to have a reason to keep coming back. Belsay Hall often host ghost story evenings, performances, or tours when parts of the hall not usually open to visitors are available to be explored. 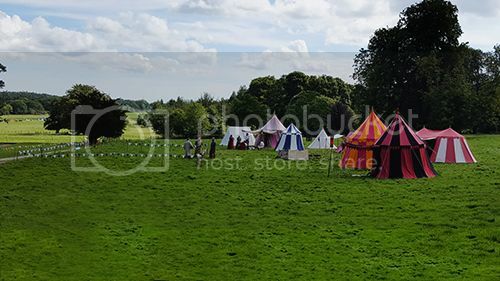 The medieval event was perfectly suited to the castle portion of the site, and helped bringing the ruin to life through the sights, smells and sounds of a 12th century camp. Hosting events can be costly and you might prefer to extend the visitor experience all year round. Consider hiring one or two special guides to man your site. Get them into period-specific costume, and create characters for them. 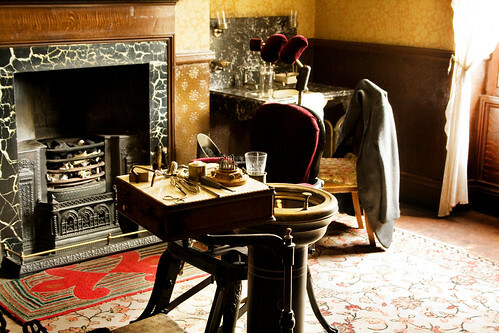 Beamish Museum do this particularly well, with visitors able to question dentists, schoolteachers, pharmacists and bank clerks from 1913. Involve visitors in the story. If it’s possible, give visitors things to try. Can they have a go at a craft, and make something to take home? Remember, while some people learn by reading about a topic, others learn by doing. By appealing to different learning styles, you can capture different visitor preferences within the same experience. Remember the old axiom. If I tell you a fact, you’ll forget it. If I tell you a story, you’ll pass it on. Over to you! Do you prefer static information boards, or informative actors who can answer your questions?